What is the Cohort Default Rate? With rising tuition rates at most universities and a growing amount of student loan debt in the United States, it is becoming increasingly important for students to be aware of their prospective school’s cohort default rate to make a sound financial decision. For colleges with 30 or more loan borrowers, the cohort default rate (CDR) is defined as the percentage of student borrowers who default on their Federal Family Education Loan (FFEL) or Federal Direct Loan payments following the start of their repayment period. 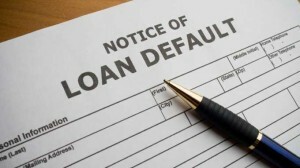 Since the number of students who have defaulted on their student loans two or three years after entering repayment has caused rising cohort default rates over the last decade, read on to learn more about how cohort default rates are measured and why they are so important to consider. Cohort default rates are calculated by the United States Department of Education based on the federal fiscal year, which begins on October 1st of one year and finishes on September 30th of the next. For an institution’s two-year CDR, the rate is calculated based on the number of students who defaulted before the end of the next fiscal year divided by the number of borrowers who entered repayment in the fiscal year. Furthermore, an institution’s three-year CDR is measured based on the number of student loan borrowers who defaulted before the end of the second fiscal year divided by the number who entered repayment in that fiscal year. Currently, the publication of school’s official cohort default rates is undergoing transition to only the three-year CDR for September 2014. As you might expect, defaulted federal student loans cost taxpayers extra money. Therefore, the federal government has a number of sanctions that are provided to schools that have a high two or three-year official cohort default rate in an effort to help save taxpayers’ money. Not only is a consistently high CDR an extremely important indicator of a school’s academic performance, it is also a warning sign that the institution is facing significant consequences from the government. For instance, schools with three official consecutive high cohort default rates can lose eligibility for participating in certain Title IV programs, including the Pell Grant. On the other hand, schools with low cohort default rates are entitled to receive benefits, including the ability to deliver Direct Loans in a single disbursement and reduce the delay of disbursements for first-year first-time undergraduate students. While the overall national cohort default rate is currently standing at 14.7 percent, official cohort default rates for each individual higher learning institution are also released once per year. If you are interested in learning how your university stands when it comes to the percentage of graduates who default on their student loans each fiscal year, it is recommended that you utilize the cohort default rate search for post-secondary schools that is published by the U.S. Department of Education. Although it gives the option to search for individual schools by the OPE-ID number if you know it, chances are you will need to type in your school’s name or search all the institutions in your local area for the best results. Overall, cohort default rates are important college financial statistics that track the number of student loan borrowers who default within a two or three-year period of time. Since a school’s CDR is strongly linked to its other college performance measures of quality and affordability, it is important that students are aware of a prospective institution’s cohort default rate to avoid the universities that have historically higher debt-to-income ratios among their graduates. Additional reading: What Kind of Financial Aid is Available for Online Colleges?